Today drew a close to the 2015 Cape Classic here in Western Province at Derdesteen. It was a well attend contest with over 60 entries coming from as far as Richard's Bay to compete at this years champs. We saw a new champion being crowned in the Pro division as Mark McCarthy took out this year's Cape Classic. 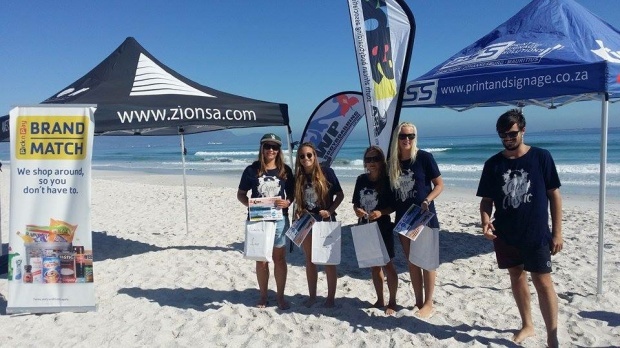 Cape Classic started off with fun waves at Yzerfontien on day one and two. The competition was stiff as we watched some of the competitors get knocked out of the contest at an early stage. The final day was started off with some heavy fog, which made it difficult until it lifted and was clear that Derdesteen was the right call for the day. The morning started off with some fun waves for the boys final and stayed the same throughout the day to give some small but fun conditions for all the riders. Alex Nutt opened with some strong riding in the shorebreak conditions. 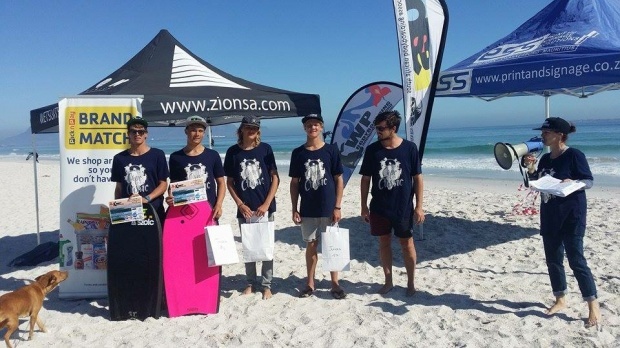 He had some good waves with a clean invert and a smooth backflip to take out the boys heats with a win Quinn Van Heerden had some clean rolls but could not match the riding of Alex, while Emile Smal ended in a third place. Ladies final started with some solid riding from all the girls while a new up and coming ladies rider, Robyn Nutt gave the winner, Pamela Bowren a tight heat. Bowren rode the wave well and out-bodyboarded Nutt who was unable to get the scores she needed. Nutt came in second place followed by Georgi McKeone in third and Francoise Joubert in fourth. Next to hit the water was the Grandmasters with the oldest competitors taking it to the water to see who would be crowned the champ. 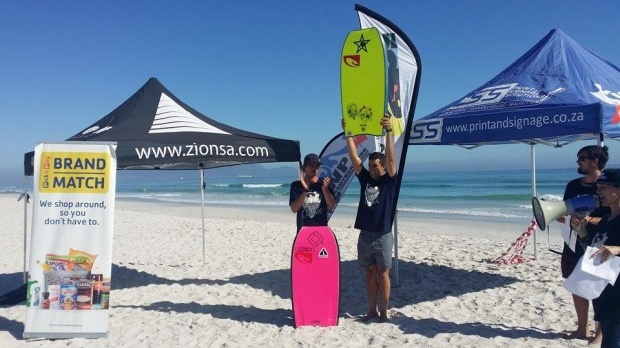 Leon Nel was looking good in the heat with some good rolls and a small barrel, but it was Michael Van Huyssteen who came out with the win showing his good rolls to the beach and his knowledge of wave riding. The Masters took to the water with the conditions switching to low tide and the waves slowly changing to go further out. It was the strong riding of Ryno Turketti who took the win over David Camacho while Clinton Millard settle for the third place. 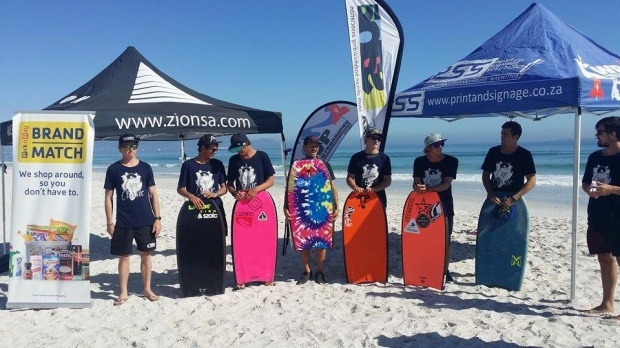 The ZION Junior final was another well contested heat from start to finish with Garryd Ensor-Smith and Tristan Roberts fighting for the first place finish. It was Roberts who held off Ensor-Smith with a good backflip to take his second win of the tour while Ensor-Smith managed a second. It was then Codi Butterworth who got a third and Sean Wilson with the fourth place. Butterworth also got wave of the contest for a huge backflip on Day one. The DK final was a closely contested heat with all the riders getting some good waves. The riders waited for a long time before the first waves of the heat came through but it was the on form Sacha Specker who was able to take it out with some good scores and one great turn to take him to the top spot and a second win of the tour. Iain Campbell had some good moves but couldn't out do Specker and ended in a second place while Dune Barker and Terence Pieters picked up third and fourth respectively. The Mens was another good heat to watch with the conditions slowly dropping, the men were still able to put on a good show for the crowd to watch. The show was stolen yet again by Dune Barker who took the win in the second contest of the year. Johan De Goede just didn't have enough to catch Barker and got second while JP Nortier finished in third and left Andre Botha came in a close fourth. The Pro quarter finals were run on day two of completion and saw Andrew Raath, JC Johnson, Sacha Specker and Iain Campbell getting knocked out. This left the last four to fight it out and were sent out on day two. This was until the mist pulled into Yzerfontien and meant that the final day would decide who would be in the final. In the semi final it was Tristan Roberts and Terence Pieters getting knocked and left Mark McCarthy and Storm Prestwich to fight out the final. It was another good final with McCarthy getting a good backflip and continued to ride the wave to the shorebreak. He backed it up with two clean rolls and came out victorious. Prestwich couldn't match the combinations of McCarthy and in a tightly contested final ended in a close second place. Well done to all the riders and a big thanks to all the sponsors who helped us with the running and success of the Cape Classic 2015.